Recently held BUDMA fairs were a symbolic opening of this year construction season. 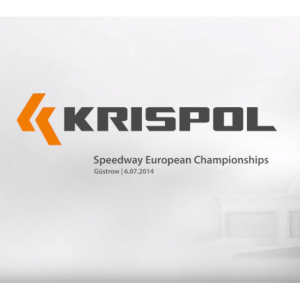 After many years of absence KRISPOL is back at BUDMA in a big style. Our stand shone among hundreds of exhibitors and it was noticed and appreciated by the jury of the competition ACANTHUS AUREUS. 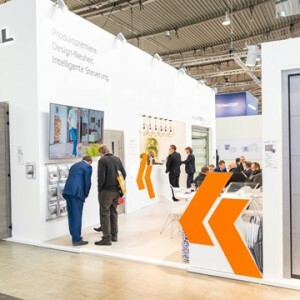 The presentation of the newest technological and design solutions confirmed our leading place in the industry. KRISPOL had a stand of 200 square meters where about 15 products were exhibited, including new products for home. There was a garage door made of 60 mm thick sections – our response to growing market requirements for energy-efficient solutions. The coefficient of heat transfer for these panels amounts only to 0,39 W/m²K – which equals an improvement of about 30% compared with the standard 40mm thick panels. This option will be available in the collection VENTE K2 RFS. 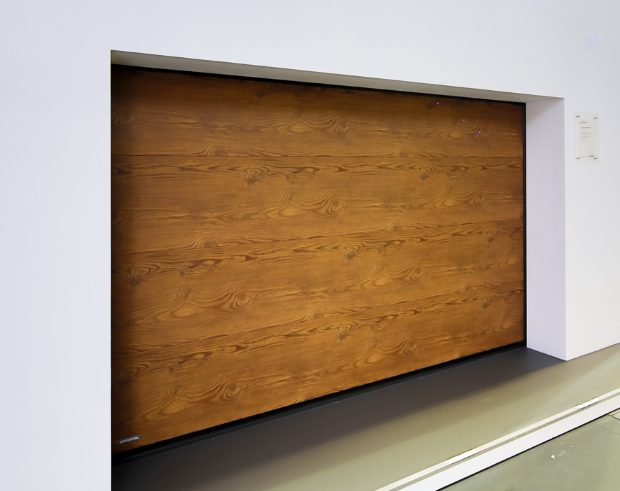 An attractive finishing of the door presented at the fairs was guaranteed by Metbrush Anthracite veneer. KRISPOL has been famous for years for its exceptionally wide range of product colours and designs. The hit of spring offer is a new decor called Antique Pine, resembling the real pine desks. Naturally shaped wood grains reflect the heat, charm and vintage character of pine desks, one of the oldest and most traditional building materials. Meanwhile, the unique composition of pigments guarantees the highest durability of the surface and resistance of the products to UV radiation. The new veneer was presented in the complex set of products for home. The set included the sectional garage door, FEN 92 window with the external shutter and the entrance door of perfect thermal and acoustic permeability parameters. 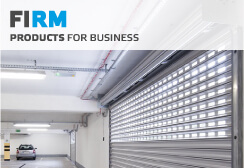 While developing our product range, we aim to provide the comprehensiveness of offered solutions. 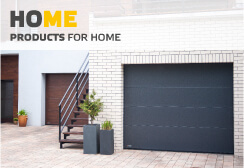 The product range for home, besides garage doors and doors and shutters, includes a wide range of window solutions. BUDMA fairs were an opportunity to present our possibilities in this range. 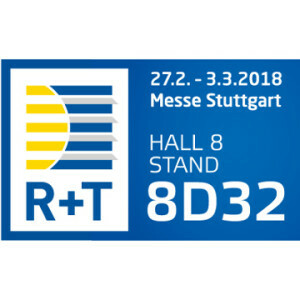 Our offer for terrace and balcony windows raised a lot of interest: our tilt and side window FEN76 5R PSK and automated lift and slide window FEN76 HST with MHS driver and low sill. The driver used in this window guarantees easy opening, closing and security for the window of the weight up to 400 kg with a button or a remote control. An interesting offer for those appreciating modern solutions and the highest comfort was the window FEN 76 5S equipped with modern tilt-set hardware activPilot Comfort PADM with BDT drive. 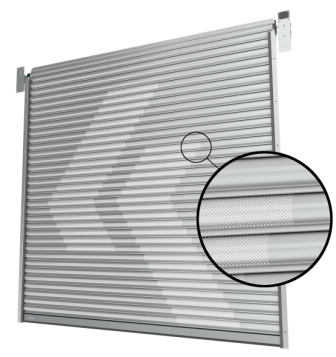 It enables parallel airing – by moving the window leaf from the frame by 6mm of the whole window’s circuit. In such position, the ventilation is more energy efficient, and the window is still secured against the burglary. The hardware and automation enable to open and close the window with the use of a comfortable touch panel or a remote control as well as programming the plan of airing. 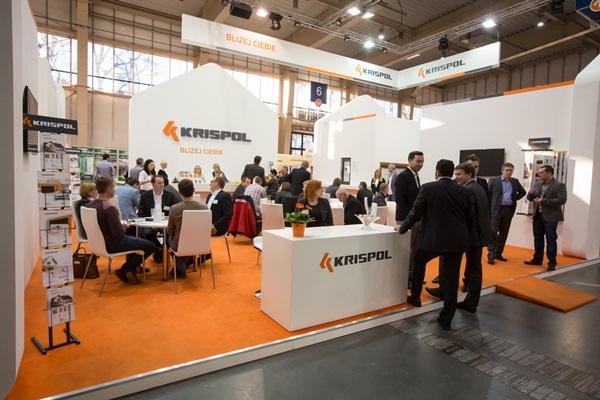 KRISPOL exposition was a possibility of presenting many new products, creating at the same time a comfortable and friendly space for meetings and longer talks. The whole event was even more enjoyable because of the organized AFTERPARTY, which turned out to be the hit of these fairs. See our video from the event!